Like this, her recipe for Recipe for Penne Pasta with Wilted Arugula, Basil, Ricotta, and Parmesan Sauce! I was drawn to the recipe because of it's use of Ricotta cheese as the base for the sauce. And at this stage, I highly recommend you jump over to her recipe to see what she did. My efforts are very much "inspired by", as opposed to a direct remake of her dish. First, I had a very nice patch of Arugula growing in my garden, but I picked most of it earlier in the week. BUT, I did have a nice bit of baby spinach, which she did recommend in her post. She also used basil and a bit of pesto in the dish. At some point soon, I plan to harvest my basil and make up a batch of pesto. But not this day. 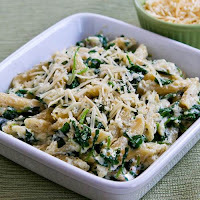 But I added a few nuts, some extra oil, garlic and spinach to the ricotta to make a creamy spinach cheesy pesto. And finally, as I do most nights I make a pasta, I hunted through my garden and tossed in a few "extras". What's pasta without peppers. I have a nice variety ranging from sweet banana peppers to some VERY hot little gems. I seeded them, made a thick dice of em and added them to a diced up sweet candy onion. And I topped the whole thing off with some halved cherry tomatoes (also from the garden). Now, I knew there was a VERY hot pepper in this mix. So I sauteed these in just 1 TBS of Butter and a sprinkling of brown sugar (maybe a tsp) until the onions and peppers caramelized. The sweet and the heat liquid produced during the caramelization and sweating of the viggies, combined with the tang of the sweet Ricotta made an excellent sauce. Certainly not Kalyn's original, but a fine tribute to her inspiration! The biggest change, I switched her vegetarian pasta dish to one topped with slices of a Honey Mustard chicken breast I had grilled up earlier. For that recipe (also inspired from a post I saw on eRecipeCards.com, you will need to look up yesterday's post of Honey Mustard Grilled Chicken ala My Tasty Treasure. Sounds like a lot of ingredients, but if you use a pre-made pesto, and do not take the time to caramelize the peppers and onions, it comes together VERY fast. While the pasta was cooking, I made the pesto, combining the spinach, walnut pieces, minced garlic, Parmesan cheese and Olive Oil. When the onions and peppers were nicely caramelized, there will be about 1/4 cup of liquid in the pan. It has a WONDERFUL flavor, not to be lost. I added the big batch of spinach to the liquid and allowed the spinach to cook in the HOT and sweet sauce. This really made the sauce special (if you like the heat from those little peppers). topped with the chicken slices, tomato slices and some more grated Parmesan Cheese! We had a small dinner party, single dish and it was incredibly well received! FILLED with layers of flavors, just spicy enough to keep me happy and creamy goodness of the sauce. Old friends will know me as Dave from my blog "My Year on the Grill". You new folks probably found this blog while looking around the website, "eRecipeCards.com". Either way, I am the driving force behind both. Welcome to my series of posts highlighting recipes that I personally have cooked (with a few adaptations, I am one of those cooks that just can not follow a recipe word for word, but I always find inspiration). 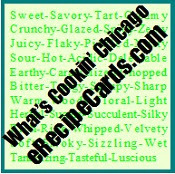 All of the recipes featured on this blog have appeared on eRecipeCards.com. The site dedicated to bloggers as a place to see and to be seen. One of the many features on eRecipeCards is an electronic recipe box set up for each individual user. This eRecipeBox holds whichever of the submitted recipes on the site for easy access. Easy to find whenever it clicks your memory. This recipe comes from Donna at the MY TASTY TREASURES Blog. Long time readers of My Tasty Treasures will notice a change in Donna's blog. For a very entertaining more adult read, go back in her archives for a steamy look at food blogging. Lately she has concentrated on the basics of her cooking experiences and dropped the R rating. Either way, old style or new style, she is a joy to read whenever she posts. I especially enjoy the look of her blog, bookend on each side with appetizing photos and links to some of her greatest hits. Her Christmas cookie archives alone are worth bookmarking her site and being able to find again. With only a bit less than 250 posts in the last three years, she has earned over 600 followers. Her body of work has earned her spot as a Blue Ribbon blogger on eRecipeCards.com. You can take a look at her submitted work by clicking HERE. Donna's personal life must keep her very busy. I was exhausted for her just reading her profile. Mother of 4, Step-Mother to 4 more, Registered Nurse, avid runner and wife to a fire fighter. Much of the food she posts in her blog ends up at the firehouse. And we all know, they deserve the best. It has been a pleasure for me to look in on Donna's blog for the last 3 years. 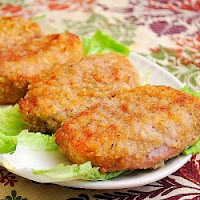 It is also a pleasure to make this very easy, crowd pleasing recipe I found on eRecipeCards.com recently. I just used the search feature to find something interesting to do with some boneless skinless chicken breasts. It's a simple marinade/glaze for Honey Mustard grilled chicken breasts, with a couple of interesting surprise ingredients. Oh, and one more reason I liked this post so much. Her recipe also featured photos from a family wedding, including shots of her and her firefighter. I always like being able to put faces and personalities to a blog and the recipes that are posted. Donna, you look so happy and your firefighter made my wife purr. Thanks for making your blog so personal and fun to read. The rest of you should click HERE to see her original posting of the recipe and the photos of her and her hunk. The recipe is very easy. I made it just a bit easier as I tossed away the measuring cups and spoons. Donna carefully listed the amounts of each ingredient used. And that's it, mix well, rub into the chicken breasts and grill normally. Then flip over, insert a remote temperature thermometer prob into the thickest part of the chicken and cook until the internal temperature is 160 degrees. Add them to a WONDERFUL pasta salad that I also saw on eRecipeCards.com. But for that recipe, you have to comeback tomorrow. BBQ Fritos Encrusted Pork Chops ala What's Cookin, Chicago? This recipe comes from Joelen from the "WHAT's COOKIN, CHICAGO" blog. Joelen has quickly become a favorite of mine. Her recipes are just a shade challenging, without being so complex I am put off by them. Always, her recipes are family friendly and wonderfully photographed. her body of work is very impressive. I could not quickly find out how long she has been blogging, but she has earned nearly 900 followers who think she is worth looking in on at least once a day (me included). Her blog is easily indexed, with hundreds and hundreds of recipes. For example, I looked at her cookie file and found over 50 cookie recipes. I didn't count, but she has easily three times as many recipes for chickens. The girl has the chops. She has been to culinary school and works as a chef at an ethnic Filipino Restaurant, with plans of opening a specialty food truck. Her blog, her recipe index as well as her "about Joelen" pages are MORE than worth a rainy afternoon perusal. For a fast view of some of the recipes she has posted to her blog, head over to her individual page on eRecipeCards,com that features her recipes (just click on the green logo to the right). This particular recipe is what I made after being inspired from her post for Potato Chip Encrusted Pork Chops. That's her photo to the left. The reason I wanted to give these a try, my nieces and nephew are coming to visit in a few weeks. Always a fun time for wacky Uncle Dave to cook with the children. Like BBQ potato chips (which I did not have in my pantry), or BBQ Fritos (which I did)! I had to make a few adjustments to Joelen's recipe (remember, I rarely do an exact copy of a recipe, only an inspiration of one). My long suffering wife with the inconvenient day job has ordered me NOT to buy ingredients that I am only going to make one dish from and then they sit in our pantry for a year or worse, take up space in our fridge until they go bad and we have to waste Earth's resources. that's a long way around saying I needed to find a substitute for the buttermilk Joelen calls for. I mixed a cup of Milk with 2 TBS of Lemon Juice for a serviceable substitution. I also have a salt substitute spice mix I call "Sodom and Gomorrah", equal parts course Sea Salt, Garlic Flakes, white Sesame Seeds and Black Sesame Seeds. No good reason for changing the salt and Pepper Joelen suggested other than it was handy and it adds an extra little subtle taste of the baked sesame. I used Frito Brand Honey BBQ Flavored Twists in place of her original potato chips. Again, it's what I had. I imagine the texture of the flavored corn chips was different from her tater chips, but I was working on dishes for the kids. I think twisty Fritos are more fun than chips, but that's just me, planning for a specific audience of 3 kids under 7 years old. Combine Onion Powder, Garlic Powder and "Sodom and Gomorrah" in a small bowl, rub on the meat, both sides. Rub in well, allow to rest for 5 minutes so the spices soak into the meat. Remove from the oven and allow to rest for 10 minutes! Again, click HERE to read Joelen's original post and recipe with more details, but I loved the taste texture and especially look forward to wacky Uncle Dave making these with the kids! Joelen's was much more elegant looking, but my sandwich will be a kid pleaser! Welcome to the first of many posts that are dishes prepared from recipes submitted by bloggers to eRecipeCards.com. The site dedicated to bloggers as a place to see and to be seen. One of the many features on eRecipeCards is an electronic recipe box set up for each individual user. This eRecipeBox holds whichever of the submitted recipes on the site for easy access. Easy to find whenever it clicks your memory. I've been holding on to this recipe in my personal eRecipeBox ever since Mary of the "One Perfect Bite" Blog submitted it, nearly 6 weeks ago (see, that eRecipeBox sure does come in handy). I made one BIG change in her recipe, so I can easily say that this recipe was INSPIRED. If you visit her original post, ELOTE - MEXICAN CORN ON THE COB, and even from that title you can see the difference. I chose to cut the corn from the cob instead of leaving it on the cob. I was having a large dinner party and it just seemed easier to serve in a bowl instead of dealing with the mess of eating it off the cob. 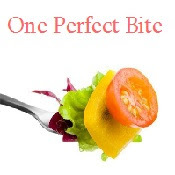 Let me say a word about Mary and her blog... "One Perfect Bite" and Mary is an old pro in the food blogging world. Mary has been blogging since 2008, posts every day (an amazing achievement), has over 1,000 posts and has earned enough respect to have over 2,500 followers. For new bloggers as well as experienced foodies, time on her site is always a learning experience. In my blogging life, I am guessing I have made more dishes from her recipes than any other blogger. She always takes the time to respond to any email questions I have as well as dropping me friendly comments on my blog. So, thanks Mary. It is always fun and a learning experience to stop by your blog. Again, for Mary's original version of the dish, click HERE. 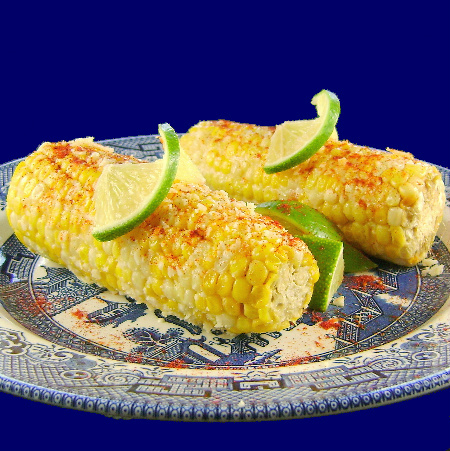 She baked her corn, as well as substituted mashed Chipotle in Adobe Sauce. She also used a Mexican cheese, Cotija cheese in place of my easier to find, Parmesan cheese. I am under strict orders from my wife to stop buying ingredients for one dish. While normally I ignore her, she went shopping with me that day so I couldn't go off hunting a new cheese without her getting suspicious. I did a little research and Parmesan is close to the taste of Cotija. So, with those changes in mind, I boiled the corn for about 5 minutes. Water to cover the cobs, with about 3 TBS of salt added to the water. I allowed to rest draining for 5 minutes. Then cut the corn from the cob. While the corn is warm, I mixed in the remaining ingredients. I kept this in a warm oven until ready to serve the meal (about 30 minutes, while we had appetizers). No problems at all with the corn drying out. I served this with a cold bean salad (oddly enough, another of Mary's recipes,(Cold marinated Herb Flavored green Beans), a warm Rosemary Potato Salad and my signature dish of a bacon lattice wrapped spiral cut pork loin with raspberry chipotle marinated sausage stuffing.